Gideon Robinson continues a musical family tradition. His father was a cellist in the Royal Philharmonic Orchestra under Sir Thomas Beecham and his mother a professional clarinetist and teacher. Gideon studied at the Royal College of Music before working with the City Of Birmingham Symphony Orchestra and as a freelance player. In 1992 he joined the Philharmonia Orchestra where he remains today. 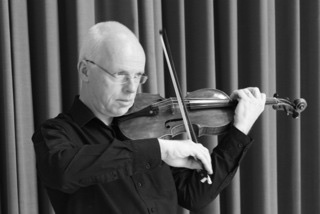 Working around a hectic orchestral schedule he has given a number of chamber and quartet recitals and concerts all around the country including the Queen Elizabeth and Wigmore Halls. Gideon has an active part in the Philharmonia’s education department bringing music workshops and concerts to schools, churches and prisons. Carla Robinson studied the violin, piano and recorder at the Royal Academy of Music. Over the last 30 years she has enjoyed a huge range of freelance orchestral work, teaching work and chamber music, which has taken her all around the world. Her lifetime motto “variety is the spice of life” has taken her from chamber music concerts in New York, opera contracts in Parma Italy, to playing in authentic Mariachi and Tango bands, playing aboard the Orient Express and QE2 to appearances on Top of the Pops to name a few. She has been a member of many light quartets over the years and formed Le Soirée over 10 years ago. She teaches violin and coaches ensembles at Saffron Walden County High School and also runs instrumental lessons at her local village school. 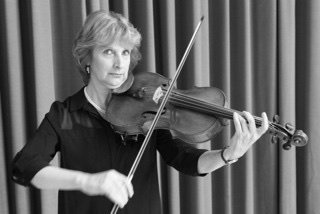 She has coached on many courses and particularly enjoys working with young string ensembles and quartets. 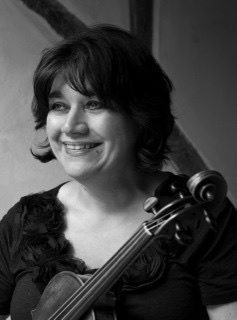 Georgina Payne studied with members of the McNaghten String Quartet, before going on to study with Nannie Jamieson at the Guildhall School of Music and Drama. Post diploma she studied with Professor Bela Kantona. She freelanced in London before joining the Philharmonia orchestra full time where she played for several years. She has taken part in many recording projects including the Lord of The Rings sound track. She plays regularly with the London Philharmonic, RPO and BBC Symphony orchestras. As well as playing in chamber and quartet concerts she coaches regularly on chamber music courses for the Benslow trust in Hertfordshire and has a busy private teaching practice. 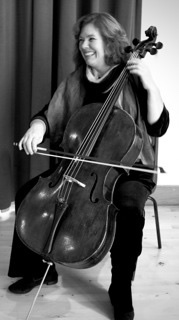 Rebecca Nouchette-Hammond studied the cello and piano at Trinity College of Music after which she graduated from the British Suzuki Institute teacher training course. Whilst living in London she founded and worked with the Fiddlesticks String quartet for 10 years performing interactive programmes for schools in and around London. She has performed with many chamber ensembles and has organized concerts and workshops for her students in most of the major London concert halls. She is regularly invited to coach one-day workshops and music courses. 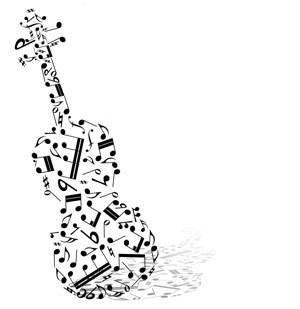 Rebecca is the cello teacher and Performing Arts Administrator at St Christopher’s School Letchworth and is a founder member of Le Soirée string Quartet.